Q: Can the back be made higher so you could wear a bra and not see the strap for example? Thank you. A: Dear Lucy, Yes we can do that. Please include your request in your order comment. You will be able to leave a comment at the last step checking out before making payment. Thank you for contacting us. Q: if i ordered this dress in stretch fabric, would it cost less? i want this dress as plain as it gets, alike like one of your "best sellers" off the shoulder dress, but with the deep V in the front and back. A: Hello, No it will be the same price. Please include your request in your order comment. You will be able to leave a comment at the last step checking out before making payment. Thank you for contacting us. A: Hi Amy, Yes we can do that. Please include your request in your order comment. You will be able to leave a comment at the last step checking out before making payment. Thank you for contacting us. A: Dear Shauncey, This dress is made to order. Currently(November) new orders will arrive about two to three weeks. If you need a dress in hurry, please have a look at the in stock items. We have some dresses in stock and these dresses will arrive just about 3 to 7 days. Please check the below link: please check the Short Description to check the size in stock. http://www.thecelebritydresses.com/top-sellers.html If you have any other concerns, please feel free to contact us. Q: Can the fabric be changed to a thick stretch fabric instead of chiffon? I.e cotton polyester or cotton Lycra? The dress Selena is wearing isn't chiffon, so can it be changed to a stretch fabric instead of having shiny/chiffon fabric? A: Dear Eleanor, We can make this dress out of the same fabric with this one http://www.thecelebritydresses.com/media/detailedreview/5/5/5566e2e01a93btcd5497.jpg . Do you like it? But there are few colors for this fabric. Only black, red, ivory, royal blue and dark navy are available. What color do you like? Thanks for contacting us. 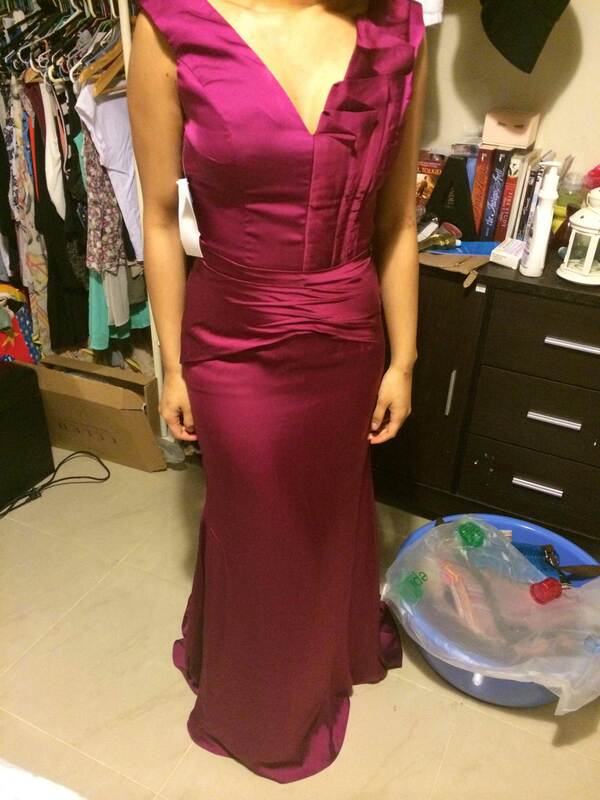 Q: Hi, Is it possible for this dress to be made in silk-like-satin? Will there be a seam from the waist down at the front? Is it also possible to remove the ruffles and ruching, narrow the straps and make the V deeper? ... Lots of alterations but I love the shape of this dress! If you had a similar one I could take a look at, the link would be great. Many thanks! A: Dear Courtney, Silk like satin fabric would be a little thick for this dress. 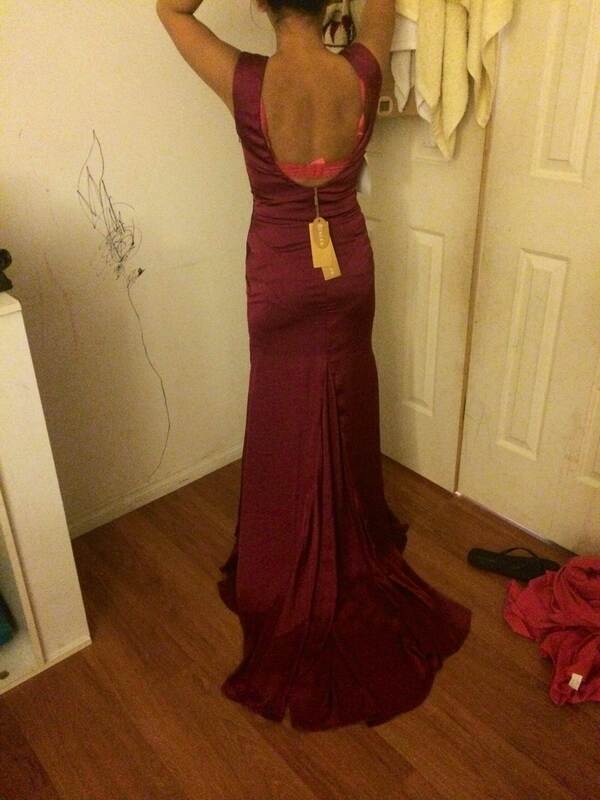 Yes, the dress has a seam at the front. WE can remove the ruffles and ruching and lower the v for you. But please understand that such changes would be considered as a custom made which is not returnable. If it is OK with you, Please include your request in your order comment. You will be able to leave comment at the last step checking out before making payment. You can also email us or contact us by live chat after your order is placed to double check. For similar styles, please have a look at http://www.thecelebritydresses.com/catalogsearch/result/index/?dir=desc∨der=most_viewed&q=v-neck . Thanks for contacting us. Q: What is the material breakdown for this dress? From the review picture posted, it looks very satin/shiny. A: Dear Katie, This dress is made out of satin chiffon fabric. Thanks for contacting us. A: Dear Sydney, Yes we can do that. Please include your request in your order comment. You will be able to leave a comment at the last step checking out before making payment. Sorry we don't have the picture of the dress without the ruffles.Thank you for contacting us. Q: I was wondering if the material this dress is made of is very shiny or is it exactly how it looks like in the picture. Also, would it be possible to exclude the ruffles on the neckline, to make the straps slightly thinner and to make the back lower? A: Dear Zaleena, This dress is made out of satin chiffon fabric in our version. Yes, we can remove the ruffles on the neckline if you request and make the straps thinner also lower the back for you. Please include your request in your order comment. You will be able to leave comment at the last step checking out before making payment. You can also email us or contact us by live chat after your order is placed. Thanks for contacting us. 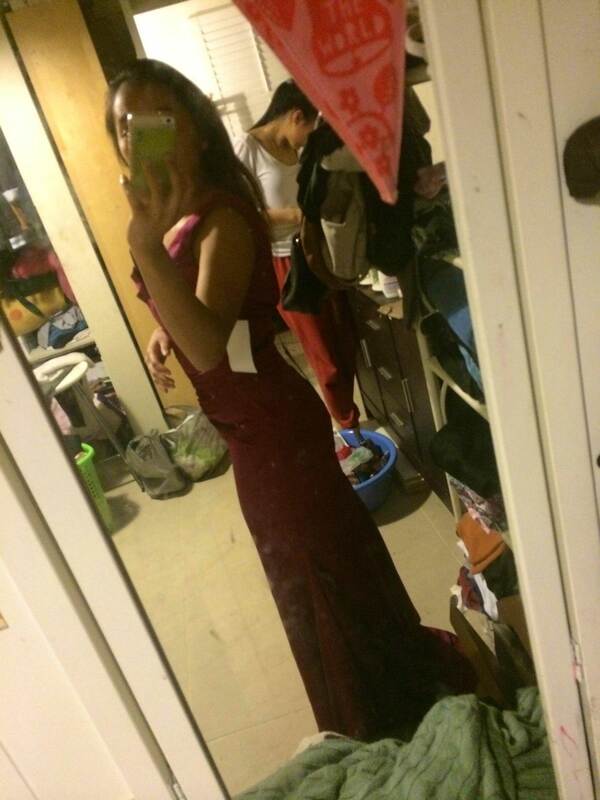 Q: Hi love this dress but how exact are the replicas? In the one review on this dress the pictures are very different from the original. Also if I did order this dress would it be possible to make the neck line so deep? A: Dear Margie, We have been making improvement according to our customers' feedback. The dress is almost like the picture color now. Yes, we can raise the neckline if you order. Please include your request in your order comment. You will be able to leave comment at the last step checking out before making payment. You can also email us or contact us by live chat after your order is placed. Thanks for contacting us. The fabric is absolutely gorgeous, every inch of the dress from my waist down was on point. It makes my body look a lot thinner and curvier than usual which works brilliantly. The trail isn't too long so it seems fairly decent. However, the straps were quite large and the ruffles were too big for my liking and the neck line was not as deep as I wanted. But despite the few mishaps, the dress was definitely worth the price. Fast work and amazing quality! I've been browsing this site for a while now, going through heaps of reviews to gauge dress quality and value for money. I thought I would finally give it a go and I am so happy I did! I sent through custom measurements and a (unfair) list of changes I wanted to make to the dress... 8 working days later my order arrive in country Western Australia. Unbelievable! While it could do with a very slight nip and tuck in places, I think that had a lot more to do with my measurements than their dressmaking. TCD communication is excellent as well, so if you're considering making a purchase and have any queries, just ask! I wouldn't hesitate in ordering again. Please leave your email if would like me to send you a photo, I am unable to upload at the moment. This order was custom made.Removed ruffles/folds at bustline,and ruching to be removed from waist.